To those of you with hands raised: Which bundle did you buy? And which games did you pick up alongside your shiny new console? Sadly, I won't be adding the Wii U to my collection until sometime in 2013. In fact, I may wait until this time next year to purchase Nintendo's new system--although I could be swayed by, say, a summer release of a localized Dragon Quest X.
Oh, who am I kidding? It's more than likely that the five-punch combo of New Super Mario Bros. U, Nintendo Land, Pikmin 3, Wii Fit U and The Wonderful 101 will push me to pick up the darn thing before next autumn, but I'm going to do my best to hold out until then (mainly because of the ton of awesome 3DS games that are set to be released throughout 2013). 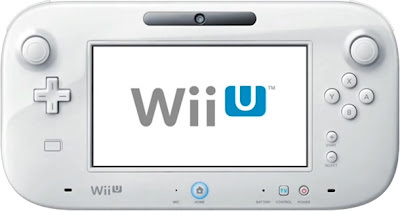 Still, I'd love to hear what those of you who decided to buy a Wii U on launch day think of it and its games, so please share your stories, opinions and more in the comments section of this post. The horrible ports by third parties, the issues with the OS and online, and all of the other problems are making this launch look absolutely horrid to me. I had a little enthusiasm for the system, but most of it is now gone. Ah, well. More money for games on systems I already own. Pre-ordered my Deluxe Set the day the release date was announced. Spent last night futzing around with system settings and Mii's. Came with Nintendo Land of course, and I bought New Super Mario Bros. U! I loved the Wii and was pretty much pre-sold on this one. Excited to see where Nintendo takes us Wii U. Plenty of 1st & 3rd party stuff already intrigues me. Well, I can't say I'm surprised by the horrible third-party ports, Phillip. Hopefully it's just because they were rushed, though, and not because the companies who made them just didn't care about putting out a quality product. As for the rest of the issues: I'm not *too* surprised by them either--mainly because this is kind of new territory for ol' Nintendo. That said, the news about slow load times and other glitches/issues is disappointing, especially when you consider the company's history of positive hardware launches. Thanks for your comment, Tony! So glad you're enjoying it so far. I spent more time than I'd like to admit watching videos of the eShop and Miiverse and whatnot, and I have to admit I'm feeling envious of all of you folks who snagged a system yesterday. Anyway, I can't wait to hear what you think of Nintendo Land and NSMBU! You sound a bit like me, Chalgyr. Actually, the system appeals to me quite a bit, but I still didn't feel the need to make sure I had one day one. Some of that was due to the 3DS' rather spotty launch, though--because of that, I'd prefer to wait until the kinks have been worked out, etc., before picking up a Wii U myself. And like you said, waiting a while allows you to catch up on all of the games and systems you already own! Right. I'm also certain the issues stem from Nintendo's inexperience. For one, I'm really wanting to play Nintendo Land. I was in the camp that thought it would be really fun and not garbage (or whatever loaded term was use), so reading that it's great makes me excited. Thanks for getting back to me so quickly! Oh, yes, I'm excited about Nintendo Land, too. I really liked the mini-games that I experienced during Seattle's Wii U Experience event (the Animal Crossing and Luigi's Mansion ones), so I was looking forward to it based on that alone, but hearing all of the positive reactions to it on line (Twitter especially) has me even more stoked. I'll raise a hand for my mom! She's getting the deluxe set. Yeah, pretty crazy. It'll be fun to try out Nintendo Land with her and the rest of the family in December when my husband and I are visiting... I did go to that Wii U experience event yesterday and honestly didn't feel particularly grabbed by the system even then, I so I think I'll be happy with my massive pile of 3DS games and will continue to play Wii catchup well into next year. Ah, I can't wait to hear how that goes for you, Anne. Playing Nintendo Land with you parents and husband should be a telling experience, I think. I will get my deluxe set at 30th of november (german release). I'm so excited about it! Especially since I tried Nintendo Land (which will be included) and Pikmin 3 at the Nintendo Experience event. I'm also looking forward to the release of Monster Hunter 4 (I know... it will take ages) and a new Zelda game or Super Smash Bros. (which is in the works). My boyfriend just canceled his Wii U-order because it is too expensive and there are no games he really needs so badly. Besides he can use mine. If you can remember to do so, Igor, come back to this post and share your thoughts. And if *I* can remember to do so, I'll give this post another mention on Twitter (you know, to push new owners like yourself in this direction). I'm fully with you RE: being curious to experience Miiverse, etc. I've watched a few videos of the OS in action, and all of them had me thinking, "Oh, I can't wait to try that!" Ah, just a few days away for you, too, Melody. I'm excited for you! I can't remember if you've said this before or not, but are you planning to buy any additional games alongside the system (other than Nintendo Land)? I didn't get one at launch, and I'm sort of glad. The day it came out I had tooth issues and had to pay for a dentist visit and next week some serious work. Boo. But I'm also glad because I heard about the day one woes, and that would have TOTALLY bummed me out. So...hopefully I can track down a Deluxe set sometime early next year if I don't get one for Christmas (I don't expect to get one, but...we'll see). Oh, Justin, I'm sorry to hear that :( Hopefully the 'serious work' isn't too horrible! Ugh. And, yes, the day one woes were disappointing. I think they'll be worked out soon enough, though. Certainly by the time I pick up a Wii U, at least. One of the cool little features of Miiverse is that if you have played a game and you visit a community for that game a type of marker appears on your Mii to show you have actually played it. So if people show up and start slagging off the game you can see if they've actually played the game or if they are purely trolling ;) nice touch!! It's so cool to see Nintendo games in HD! The graphics in Mario U are beautiful! I've been tracking Best Buy and Futureshop and saw Wii U go in and out of stock yesterday. It looks like Nintendo is shipping in waves. I didn't pre-order and was out of luck with a walk-in purchase on launch day due to the campers who stayed up all night. But I did get one on the 19th after having given up. It has a lot of potential, and I'm not saying this because of the money I spent, I really had a lot of fun. And Miiverse is very interesting. It'll definitely be interesting to find out at the end of the holiday shopping season how well the Wii U fares, won't it? Also, I'm glad to hear you snagged yourself a Wii U -- especially since it happened after you'd given up. Which games do you have for it at the moment, if you don't mind me asking? Nintendo Land, ZombiU and NSMB U, I love Nintendo Land! Pikmin Adventure and Zelda BattleQuest alone are worth it. Oh, that's great, Dexter! What do you think of Balloon Trip Breeze? Strangely (or not), that's the NL mini-game I'm most looking forward to playing.